This past weekend we were invited to screen The Nut Job 2 and unfortunately we were unable to make it. My kids are so bummed, but I promised them that we would go see the movie this weekend when it arrives in theaters on August 11th! We often watch the first Nut Job and it is such a crack up. Well now Surly Squirrel and the gang are back to stave off the evil mayor and his plans to bulldoze Liberty Park and build a dangerous amusement park in its place. I know this will be fun to watch, with tons of laughs to be had. Check out the trailer for a little more Nut Job fun! I have a special offer for those of you that live in the Denver Metro Area. This Saturday, August 12th from 10:30-2:00 at the Jeffco County Fair, there will be fun activities, awesome prizes and an appearance from Surly himself! If your kids are Nut Job “nuts” then they will love this experience. 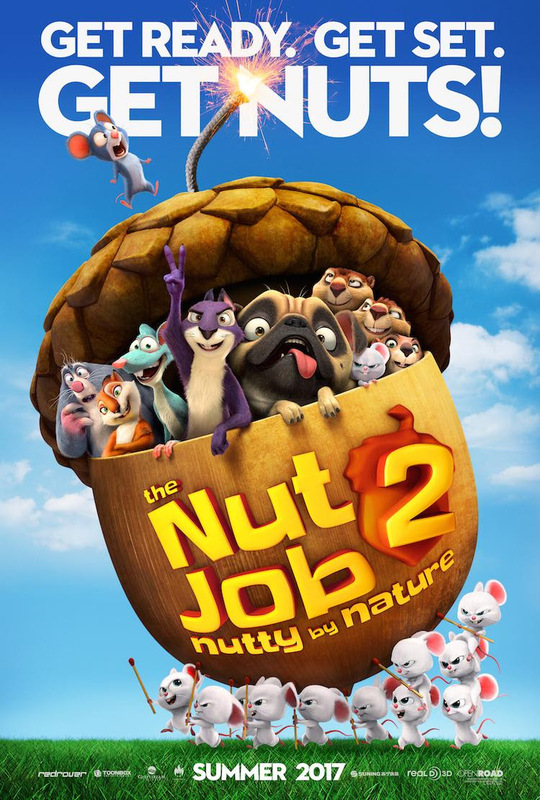 In addition, one lucky person from this blog will win a fantastic Nut Job 2 prize pack that includes a T-shirt, ROE tickets to the movie, PB Crave peanut butter, and Blue Diamond Almonds. Just enter the rafflecopter below for your chance at this fantastic prize pack!